Right at the top of Brisbane’s Hotel Urban on Wickham Terrace you will find, ‘The Loft’, a modern space with views of the Brisbane city skyline. 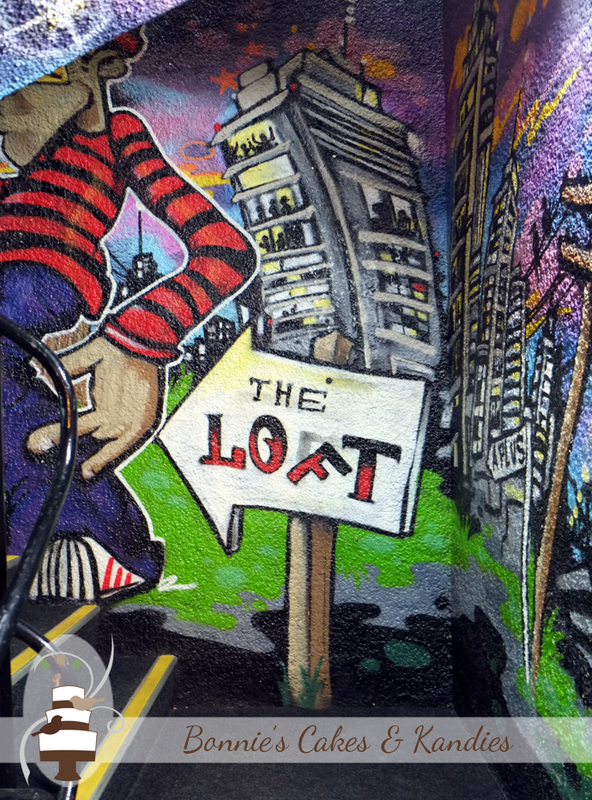 The Loft – just a short distance from the Roma Street Parklands – was the venue for one of my recent wedding cakes, and despite a sign above the door stating that, ‘What happens in the Loft stays in the Loft’, I can share just a couple of details of the cake below. 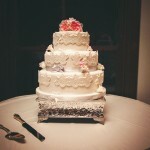 I met the lovely bride and groom in person earlier this year. 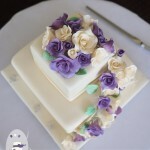 It was such a pleasure to learn a little bit about the couple and their wedding plans as we talked through different designs and flavours for their cake. 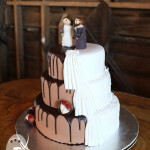 They really liked the earthy, rustic type look of one of my previous wedding cakes, which provided inspiration for the final creation. 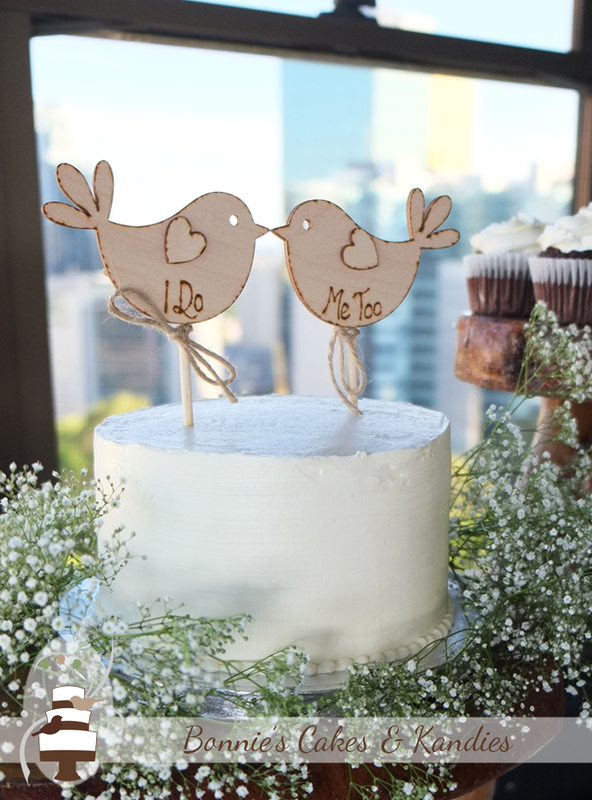 Making good use of one of my wooden cake stands, the main focus was a cutting cake with baby’s breath carefully arranged around the base and featuring two adorable wooden lovebird cake toppers. Cupcakes filled the remaining space on the stand, with one for each guest, ensuring no one missed out. Both the cake and cupcakes were free of egg and dairy, with chocolate fudge cake chosen for the flavour. 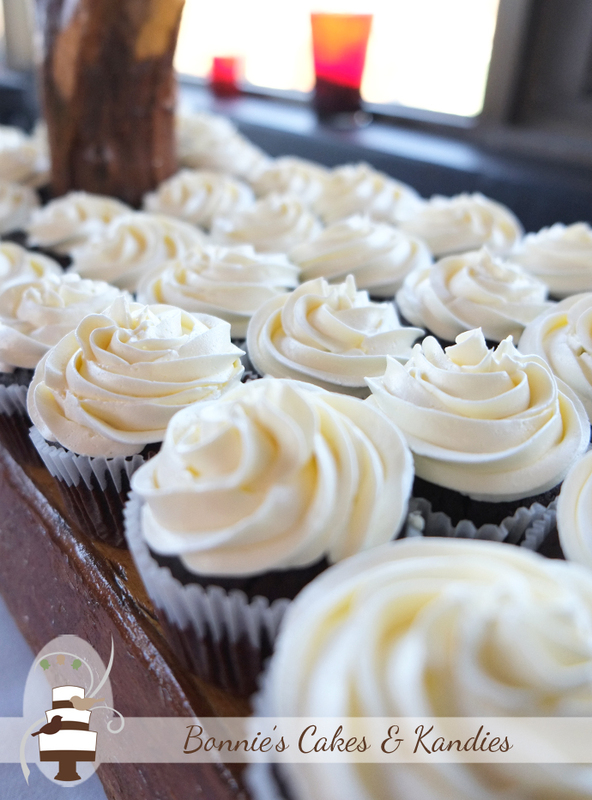 I had a lovely phone call from the groom in the days following and was very pleased to hear that everyone enjoyed the cupcakes. It was great to see how everything came together with the final presentation on the day. 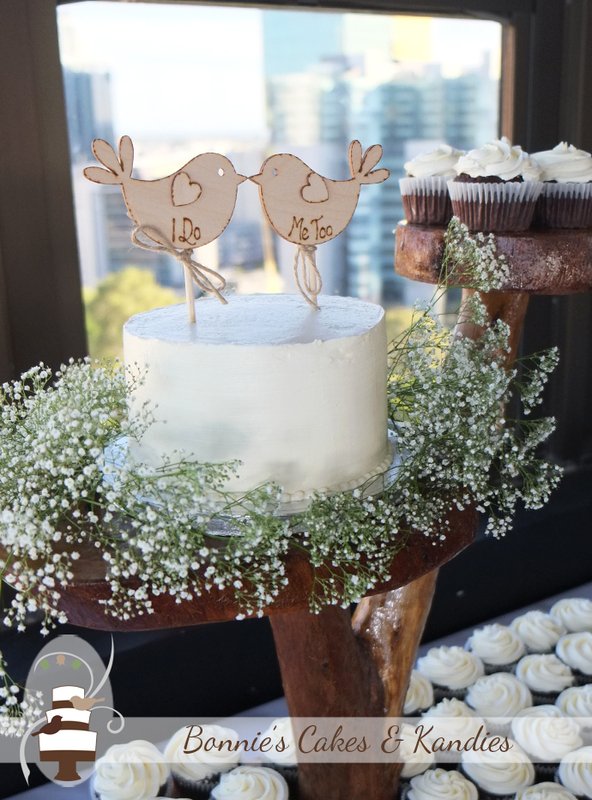 The birds, the flowers, and the wooden stand all brought a rustic, country type charm to the stylish and modern inner-city reception venue. 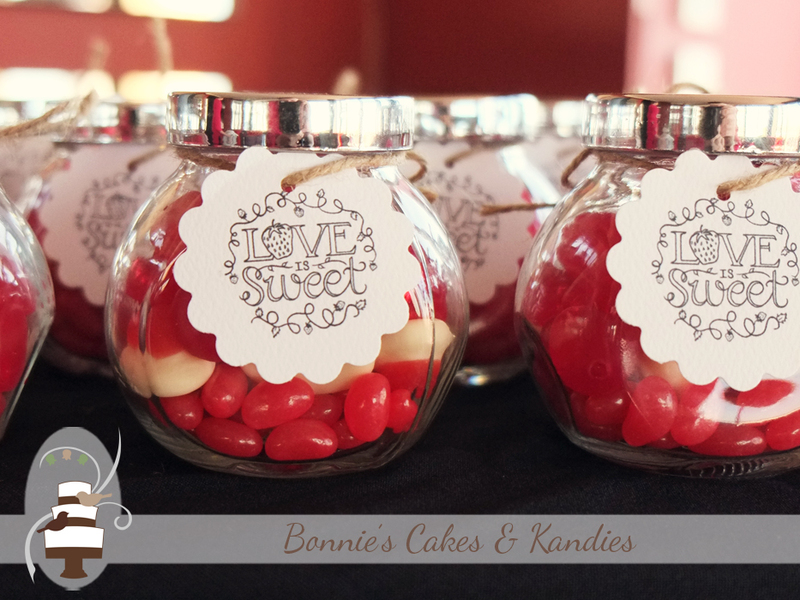 Love really is sweet – just like the beautiful couple who are now newlyweds. My congratulations and very best wishes to them both!